DECENTRALIZED #DLT: CORRUSCANT OUTCOMES ? PREVIOUSLY ON #ADMP: We reported on the upcoming Paris Blockchain conference on the 18th of July! #ADMP was there of course, as a media partner! On the deck, to witness the rise of the Blockchain ecosytem in the french capital; A few days after the historical FIFA 2018 world cup victory, on the 15th of July, by N’gollo Kante and his crew: ‘Les Bleus’. It is always interesting to attend a Blockchain conference, since a wide group of attendees do own bitcoin and many other Altcoins, which usually draw strong debates. 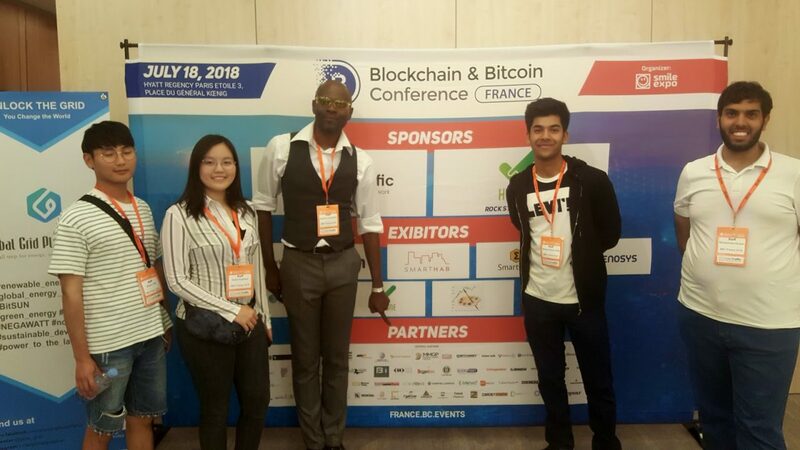 Decentralized Shitalkers, crypto-analysts, crypto-capitalists, poseurs & coders, Hackers & Hacktivists, Canard Coin Coin & Venture capitalists, crypto-influencers, and even the ‘Jeunes Loups’ #Youtubers were filming and reporting the event… ⇒ All had a good day out, in the posh settings of the Hyatt regency in Porte Maillot, for 400 Euros in Fiat. This very diverse and sizeable crowd, from literally all over the globe, enjoyed the Smile Expo organization under the stewardship of ‘Uber-Calm’ and very slick Yaroslava Velykaya and Kristina Storozhyk . Adrien Henni, Co-founder, Blockchain Connectors, East-West Digital News – Miroslaw Janik, PDG et Co-fondateur, Hidone – Alice Lhabouz, CEO, Trecento Blockchain Capital – Alice Lhabouz, CEO, Trecento Blockchain Capital, among others, took the mic and paced the main stage, inside the Hyatt resort. We also had interesting discussions with attendees and some of the startups available on show like: Hidone, Cointraffic, ICO EdeN, Novo LinkO, New York Coin, Henosys, Token Talk, etc.. Messages with the following hashtags “#ICO, #ETH #Blockchain, #Crypto..” are getting blocked or “shadowbanned” by the ‘Mainstream Millenials’ social media platforms like FaceBook, Youtube, Twitter,..
Of course, the core crypto communities are all busy on the ‘Cryptosphere’, the ‘crypto social media’ or ‘Cryptostream’ outlets like : Telegram, Steemit or Binance,.. which are very important too! ==> The strategy to access those smaller users-base is just different and more specific. However access to the 21st century ‘Maintream Media’ platforms like Youtube or Facebook (often used by Millenials, to “keep in touch with family”, mostly) is key to demonstrate ‘proof of community’ (#POC)when pitching for your ICO, which doubles-up as proof of “scaling-up” since Facebook is still the largest social media platform, when it comes to ‘social Bitcoin’ globally with at least, 1 billion daily users, and millions of crypto buyers and sellers ! Those numbers can sway an investors, if he or she, sees a ‘Busy’ community already at work, before-investment on a wide-reaching platform like FaceBook, or Twitter: Even in the case of a Twitterstorm often seen as ‘negative’ event, but for Social Media pros, like us, it tends to give a clearer idea and reach of a given number of ‘Active real users‘, especially when they are called-to-action by an identified influencer–> it is ‘Proof of Community in Action’! (#POCA). In the case of ICO or CTO: Community Token Offerings which is sometimes, a ‘smarter’ way of introducing your tokens. Skilled Social media managers to establish social media strategy and compliance with GDPR regulation or even Golden Shield’, in China, are requested. Skilled community managers able to create, animate groups and forums around crypto currencies are a premium, nowadays. You can always write to this Blog to know more about the challenges of ICO Social Media Management. Alternatively, check our About us page, too. 3 years ago, we submitted a post that was outlining some of the basic fundamentals that ‘Social Banking’ should stand for in the 21st century. We invite you to get back to it, here. The contract was known as the BancorConverter. Next week, the follow-up (2/2) of this fascinating blog post on ICO and Coruscant decentralized systems will carry on!